68 – And we are all even again, as Aymeric Laporte powderly headed home past Rui Patrício off a IIkay Gündogan free kick in the 68th minute. Wolves 1, Manchester City 1. 59 – Wolves have taking a surprisingly lead against Manchester City, following a goal by Willy Boly in the 57th minute. A short corner led to João Moutinho delivering a pinned-point cross, which was eventually put home by Boly, who apparently used his hand to put the ball in the net after he missed his attempt with his head. Wolves 1, Manchester City 0. Champions Manchester City make two changes from the side that hammered Huddersfield 6-1 last week as Gabriel Jesus and John Stones make way. They are replaced by Raheem Sterling, who replaces Jesus and Kyle Walker, who comes in for Stones. 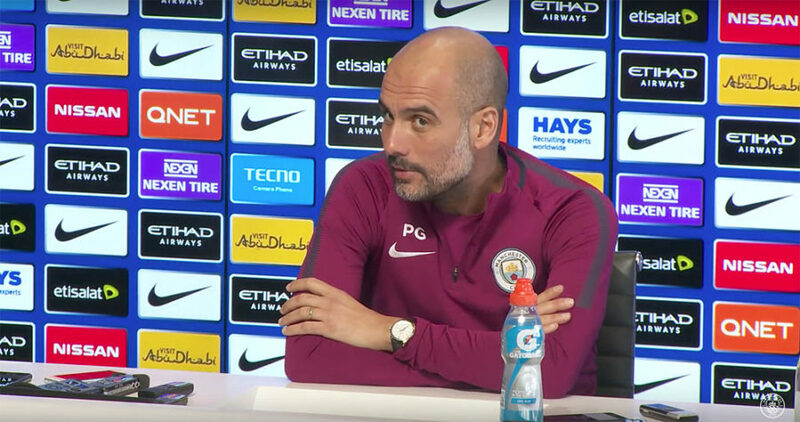 Sergio Aguero, who netted a hat-trick last week continues to lead the attack for Pep Guardiola’s side, while Aymeric Laporte and Vincent Kompany are paired at center-back. Meanwhile, Wolves have decided to stick with the same line-up that started their opening two Premier League games and will extend their 3-4-3 formation to a third week. Ruben Neves starts in midfield with Raul Jimenez starts upfront. Wolves team: Patricio, Coady, Bennett, Boly, Doherty, Neves, Moutinho, Jonny, Jota, Jimenez, Costa. Subs: Ruddy, Gibbs-White, Hause, Vinagre, Saiss, Traore, Bonatini. Manchester City team: Ederson, Walker, Kompany, Laporte, Mendy, Fernandinho, David Silva, Gundogan, Bernardo Silva, Aguero, Sterling. Subs: Muric, Stones, Otamendi, Delph, Mahrez, Sane, Mahrez, Jesus.